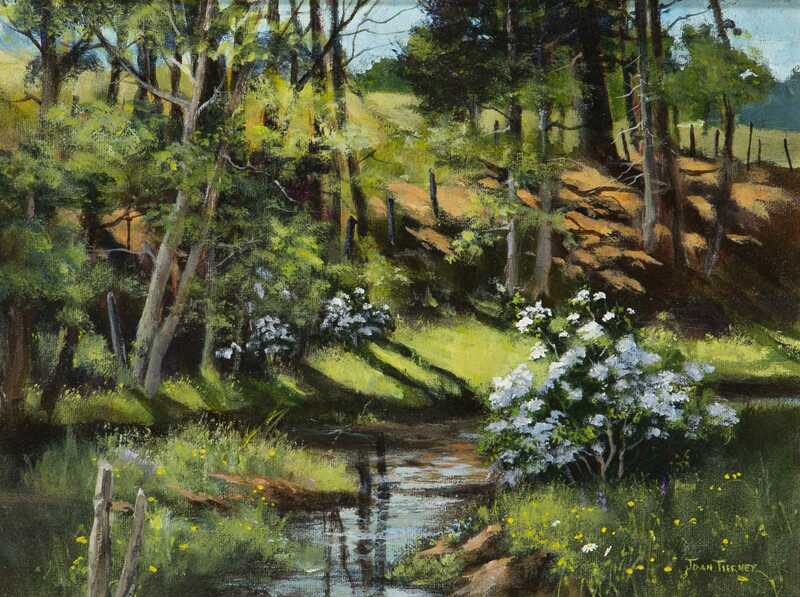 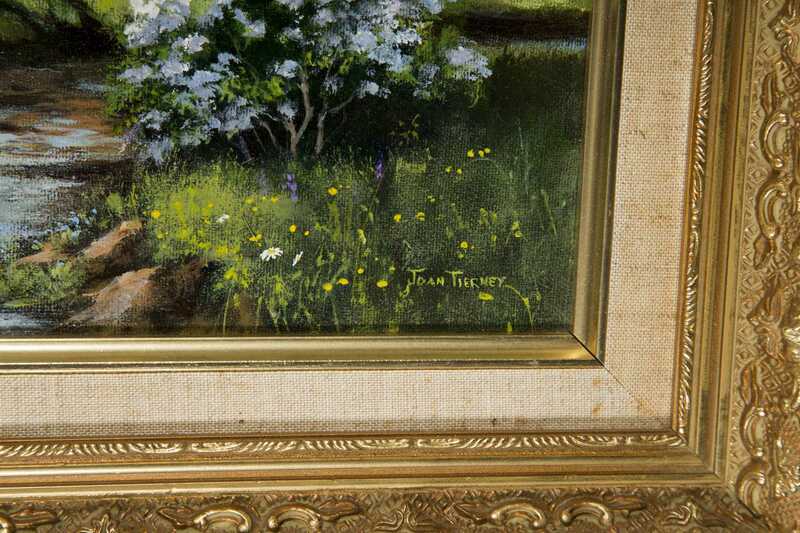 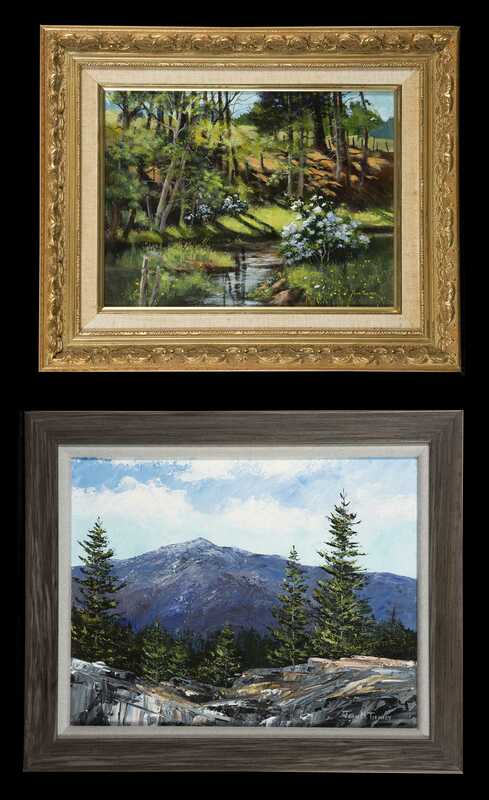 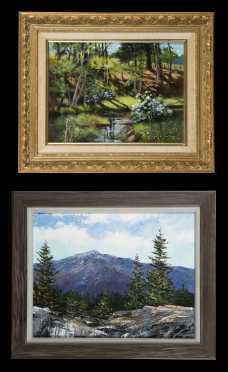 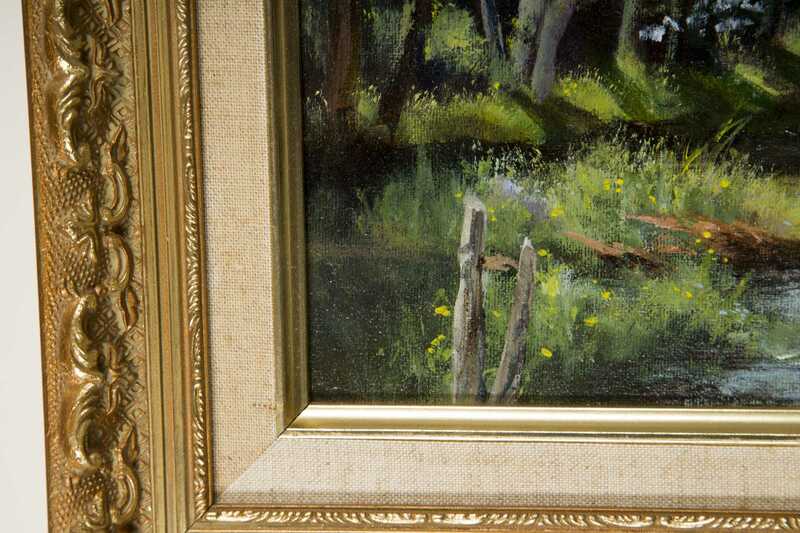 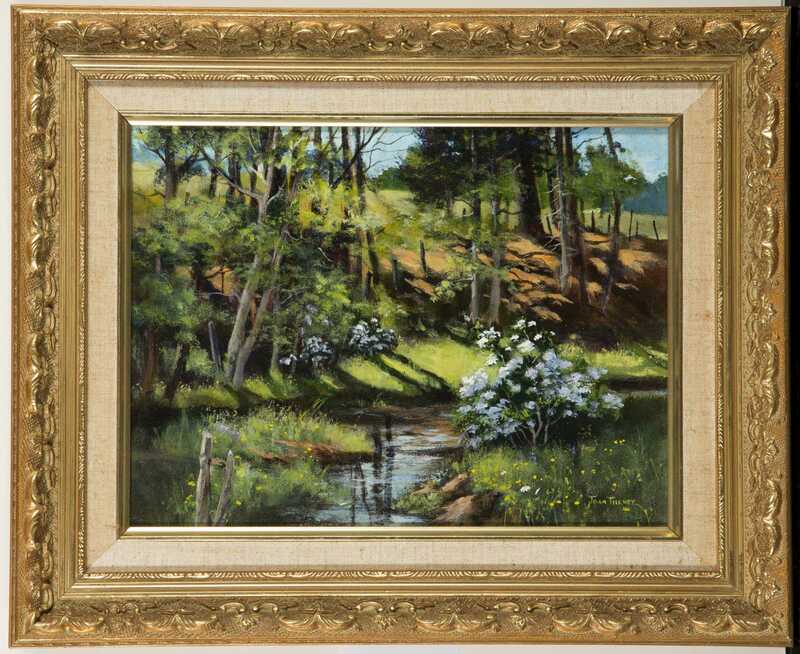 Two Joan M. Tierney, Wilton New Hampshire, 20thC Paintings, A) "NH Mountain Laurel", oil on canvas painting, 9" x 12", gold molded frame, signed lower right "Joan Tierney" and titled on reverse. 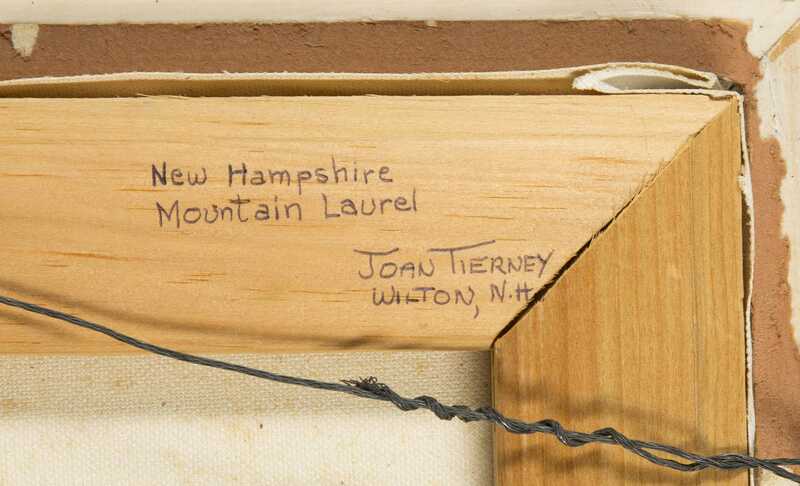 B) "Mt. 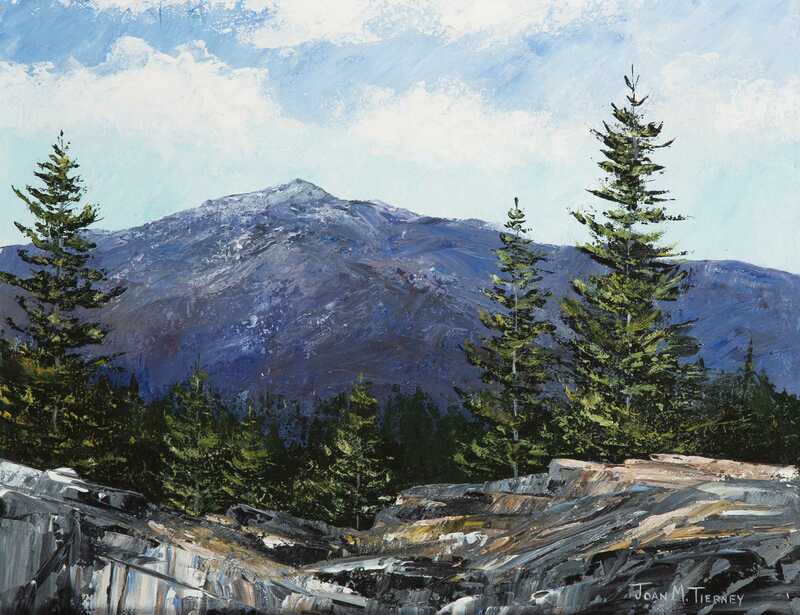 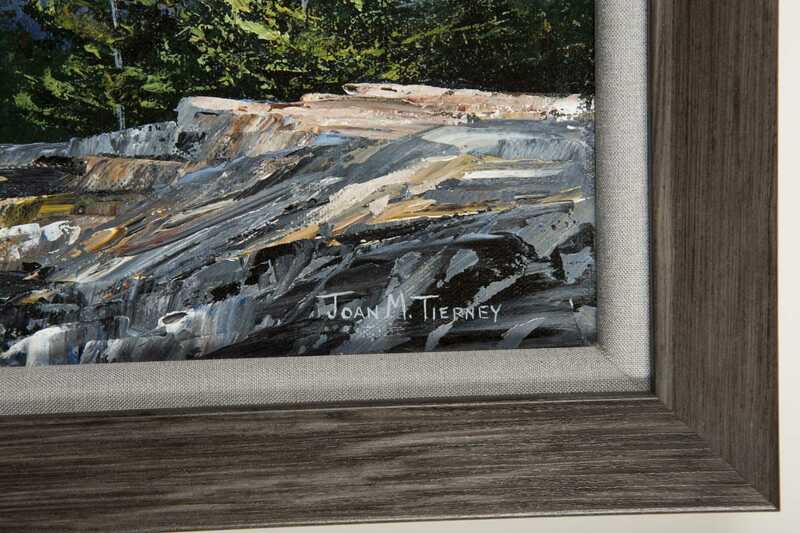 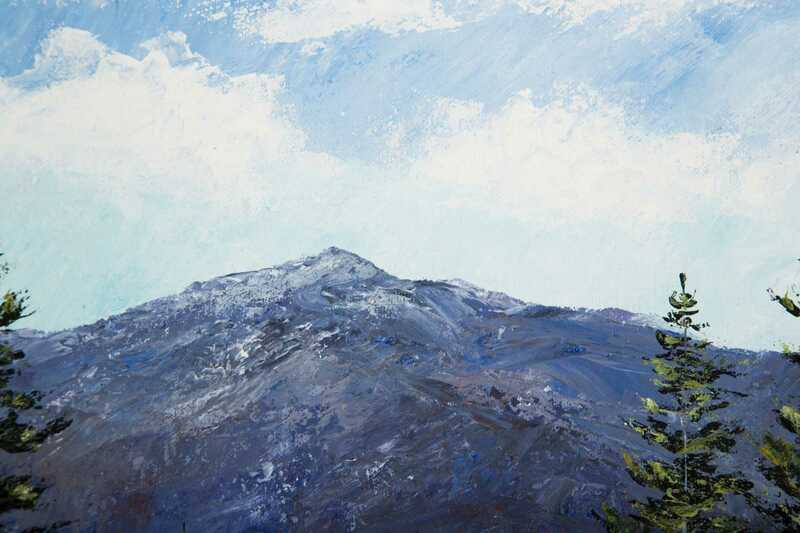 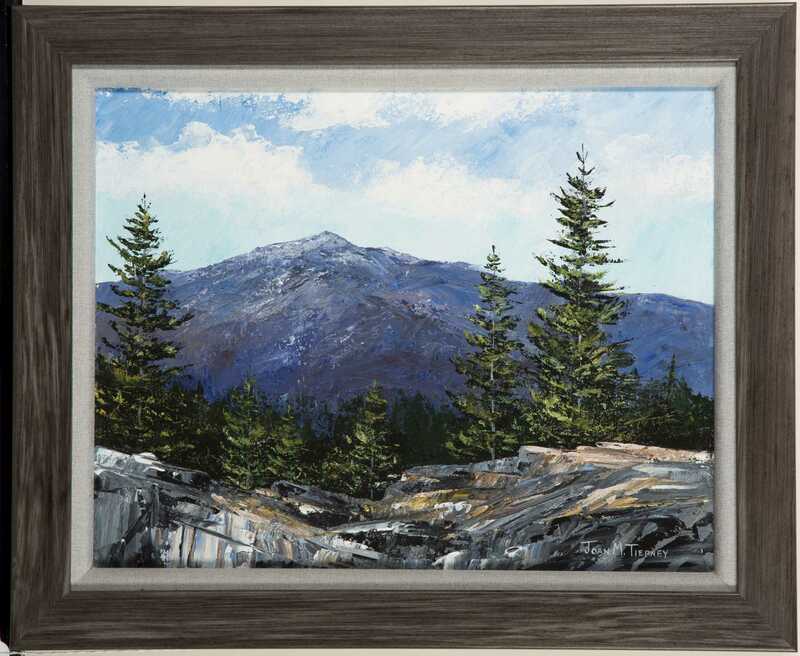 Monadnock", oil on canvas painting, 11" x 14", gray painted frame, signed lower right "Joan M. Tierney".